Working in partnership with our clients is at the heart of our success. From concept to delivery, we’ll work with you to deliver extraordinary engineering solutions. Our world-class design team approach every project with vision and ambition. We’re the UK’s only Slipform specialists. For when the ordinary just won’t do. 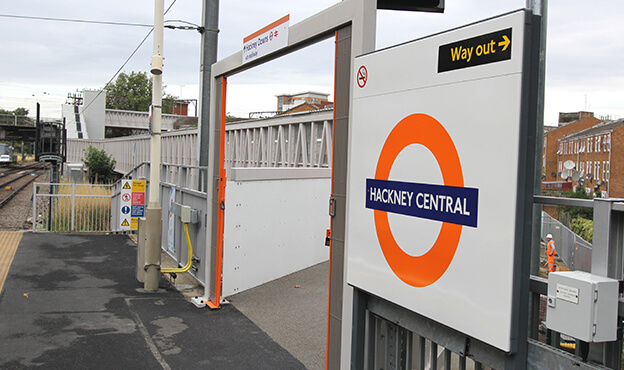 An estimated 165,000 people took the street level transfer between Hackney Downs and Hackney Central Stations each year, and with an extra 150,000 passengers expected when Hackney Downs joined the London Overground Network. 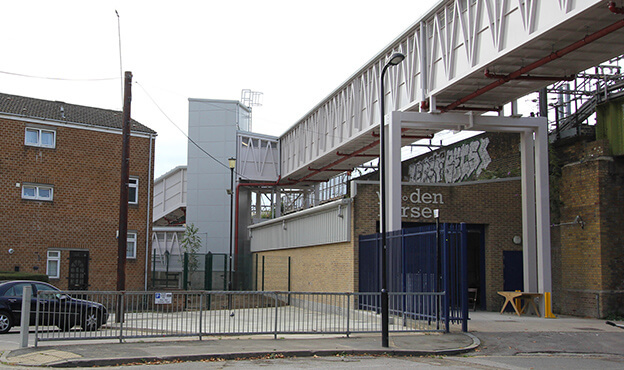 Transport for London awarded Spencer Group the design and build of a walkway between both stations to ease congestion, improve access to the station and enhance passenger experience. and allow step free disabled access between the two. The walkway designed and built by Spencer Group was a multi-span elevated 150m steel walkway, with supporting columns on piled bases. To facilitate this, temporary works for the installations of truss spliced sections were required. Additionally, Spencer Group fitted a new lift, power supply and associated mechanical services, alongside lighting and SISS installation (including CCTV, comms, PA etc.). Electrical earthing and bonding was carried out by Spencer Group in addition to adjustments to the existing OLE return conductor. We also landscaped and rejuvenated the local realm, involving the relocation and installation of a brand new children’s play park and the installation of new stairs. with ‘fit out’ of M&E, PA and passenger information displays. Spencer Group engaged proactively with stakeholders to ensure they were kept informed throughout the life of the project. Site access and craneage required the relocation of the residents’ original children’s play area. We held a meeting with residents and families who used the playground, working collaboratively with them to relocate the facility to the best possible outcome. 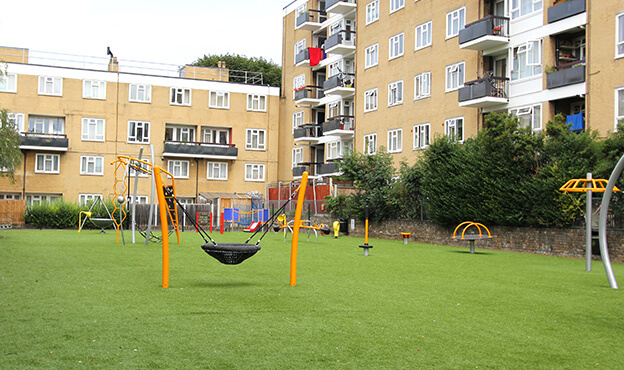 The Tenants Residents Association praised Spencer Group for our consideration and assistance throughout, including the furnishing of the playpark with the latest equipment free of charge as a thank you for locals continued patience as the project progressed. This much-appreciated approach enabled commuters to use the footbridge as quickly as possible. Have a project you want to discuss?